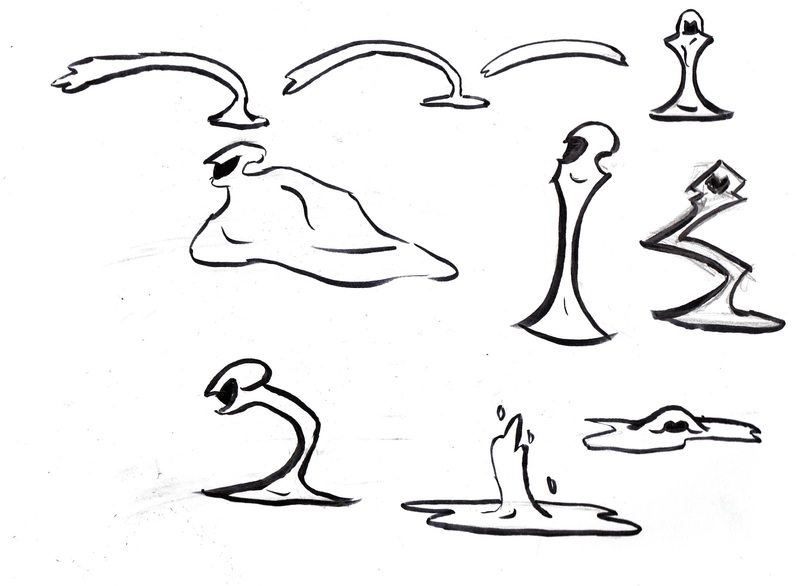 So before my chat with Phil I did these thumbnails of my character, how he could move, hide and become ink which was going a little off track. So here even before said my character will more than likely need an actuarial body it was something that was on my mind, I just didn't no if I should embrace this or not. So he isnt grate BUT I like this more than before. The actuarial silhouette will be of his body and his cape will be transparent, so its all in the silhouette that the work needs to be done. 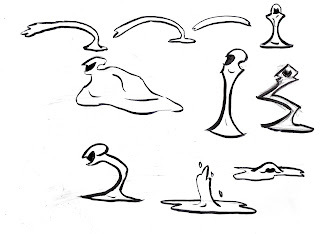 I have a lot of experimenting to do but I can see this being more fun experimenting with an anatomy of the human body than guessing with a cape. 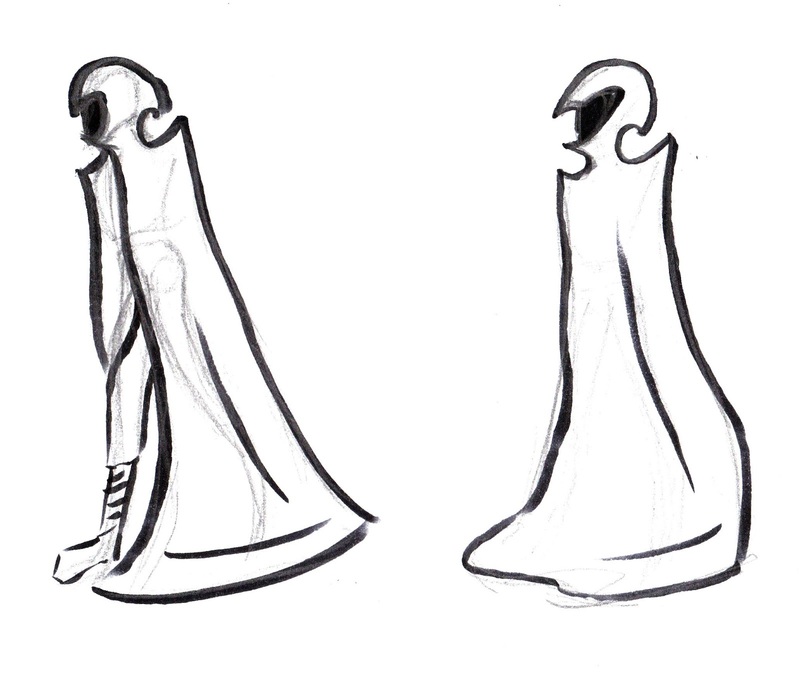 The cape will be more of the free flow (like the harry potter 3 brother tale in last post) which hopefully will mimic the inks flow. :D Onwards Mikey mike! 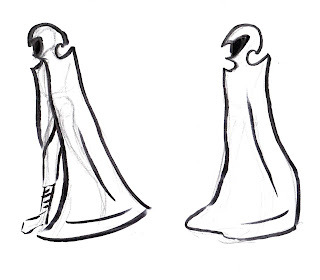 That last drawing is on it's way - if you imagine that the cape is like a length of tracing paper, so that it turns your black silhouette a frosty grey when it partially obscures it, and then creates other shades of grey (not 50!) as it overlaps itself - could be very ghostly and evocative. and look at fashion illustration generally, because it tends to be more expressive and suggestive - might give you some ideas too. Time to hunt for that fashion book i brought a little while ago! Many thanks for the Links and ideas!